When most people hear of JELD-WEN, Inc., they think of windows and doors. When we hear of JELD-WEN we think of commitment, community, and humility. Beginning as a small, millworking operation in the 1960s, the company has transformed into a leading global producer of windows and doors, catering to the needs of builders, individuals, and commercial entities throughout the world. No matter the product and no matter its purpose, JELD-WEN has been on a mission to continuously improve the industry through high quality, reliable, and affordable options. While their growth has been impressive, what drew our two companies together, was a shared value-set. In a trying time for many retailers and brands nationwide, both AXIS and JELD-WEN understand how important it is to stay ahead of consumer expectations. 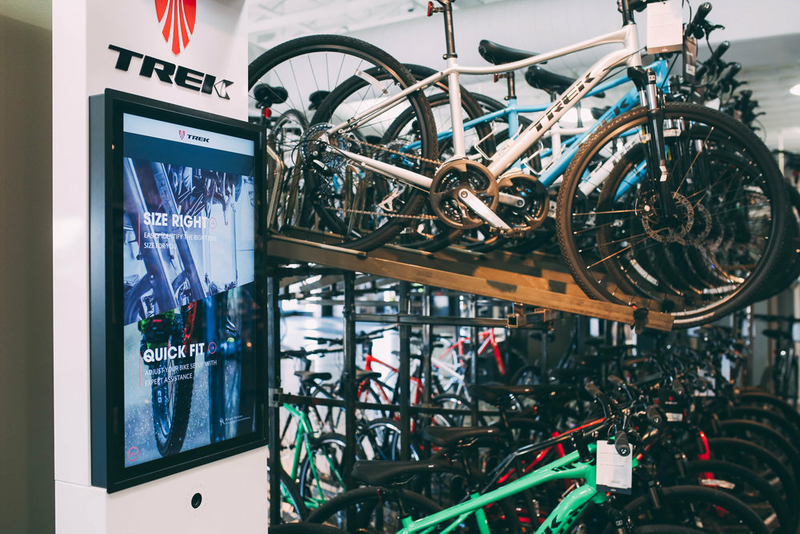 Shoppers today approach retail decisions armed with choice, convenience, and control. Their ability to research, comparison shop, and ultimately make decisions prior to stepping into a store is unprecedented. Competing in this landscape can be difficult, but applying a holistic, proactive approach to retail makes it easier. Designing retail spaces based on individual customer needs, providing tools to assist shoppers in narrowing down options and visualizing the product in their own spaces, and creating opportunities for customers and associates to build solutions together, not only adds value to the brand and retailer, but gives the shopper a sense of ownership and pride in their decision-making. AXIS and JELD-WEN have been working together to implement this model into a series of ongoing projects set to reinvent their current retail ecosystem. 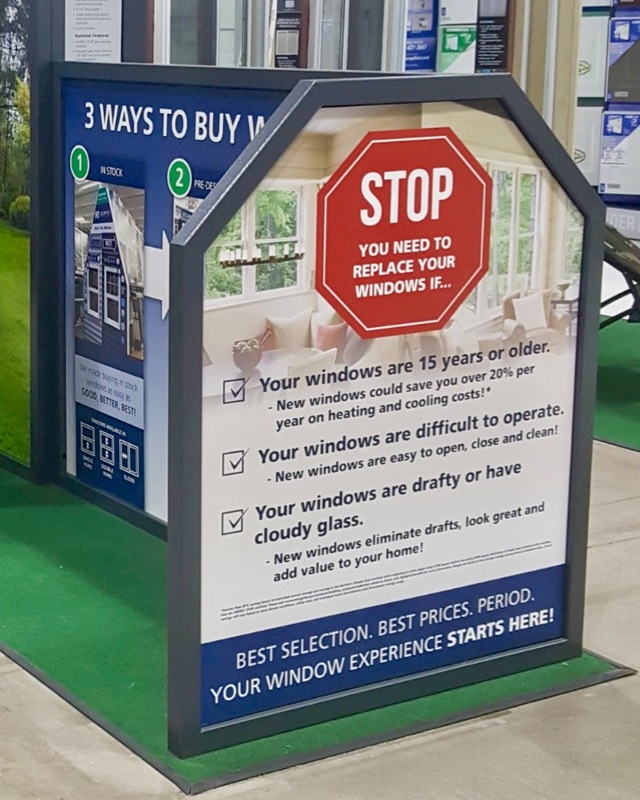 The first application of this can be seen in a Retail Fixture Reinvention for Menards Stores. 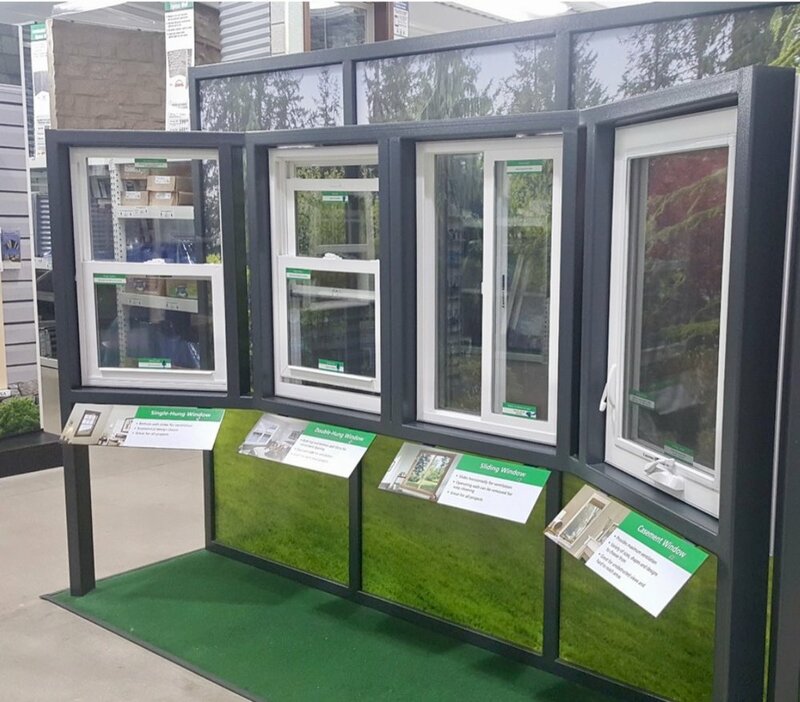 JELD-WEN needed to implement a new permanent retail fixture program within Menards retailers nationwide. These new fixtures were to replace an existing fixture set previously used in the stores for years. AXIS and its team of vendor partners were tasked with value-engineering each and every aspect of the retail program, including fixture materials, manufacturing (global and domestic), logistics, and installation. JELD-WEN created an initial fixture design and ran a 50 store test. The AXIS creative and engineering teams then took that design and developed a value-engineered prototype set that provided the client with a cost-conscious, speedy fixture offering that was able to be mass-produced. In the value-engineering process, it was decided to change steel construction to extruded aluminum, which allowed the unit to be shipped knocked down rather than fully assembled. The prototype was first developed in AXIS’ Shanghai facility, and was then reproduced stateside. Additionally, AXIS reviewed Menards’ current logistics and developed a system to help the retailer organize their shipping so it stayed within budget. After assessing cost and taking Menards’ tight timelines into account, AXIS organized both overseas and domestic production of the fixtures (four rounds total). Once the fixtures were produced, AXIS warehoused the products and developed four rounds of shipment and installation schedules. Axis Display Group was able to achieve a 15%+ reduction in the overall Menards retail program cost for JELD-WEN through extensive value-engineering, hybrid domestic and global production, and a re-evaluation of shipping logistics. 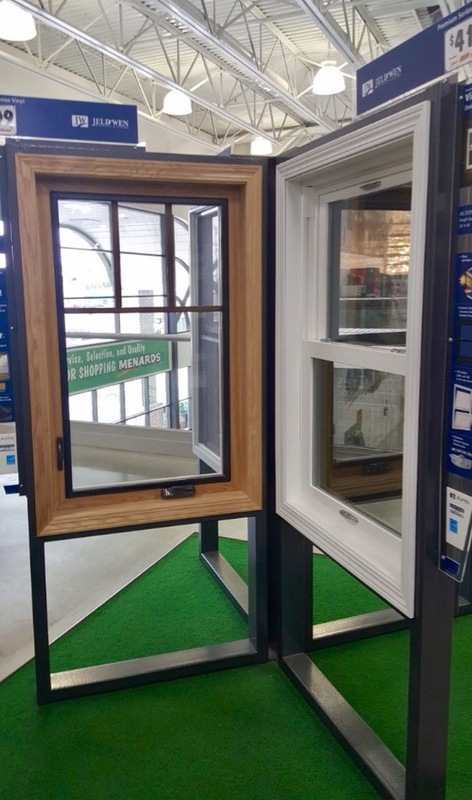 The improved quality of the fixtures not only aids in the investment’s longevity, but also helps elevate the JELD-WEN brand to be seen as a leading provider of luxury of windows and doors, an important objective of the company in recent years. 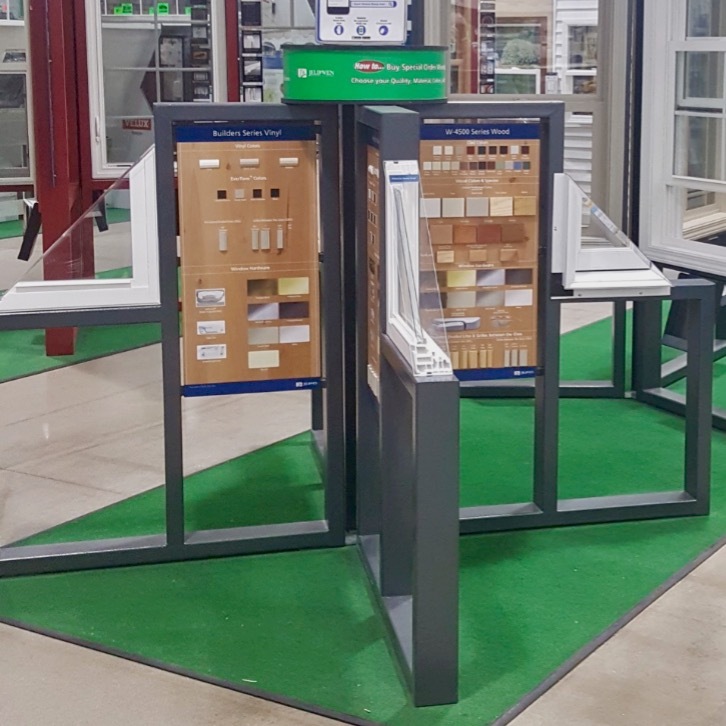 Additionally, this fixture program was designed to provide Menards’ associates with a valuable selling tool useful in helping customers visualize their potential purchases.